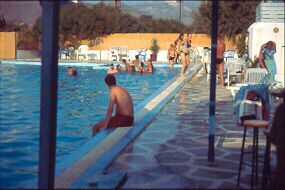 Naxos Camping was established in 1981, and it is the first camping ground on Naxos island. It goes back to the days when Naxos island wasn't very well developed and many tourists stayed in offhand tents on the beach. 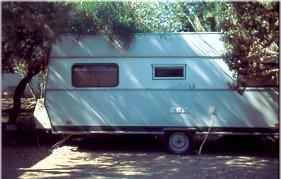 Naxos Camping was the first that offered full camping services to visitors of the island. 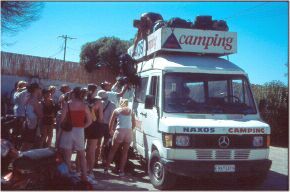 Since then tourists from all over the world enjoy the hospitality of Naxos Camping during their summer holidays on Naxos island. 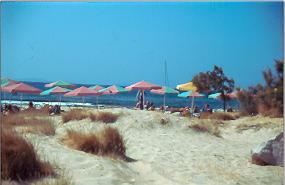 Naxos Camping is located in the middle of the coastal road from Naxos Town to Agios Prokopios summer resort. 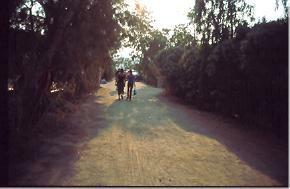 That location makes Naxos Camping an ideal starting point for navigating the whole island. 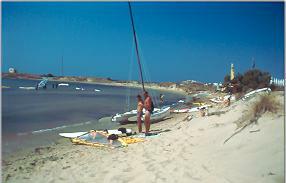 From the Naxos Camping site you have the easiest access to the best beaches on the island. 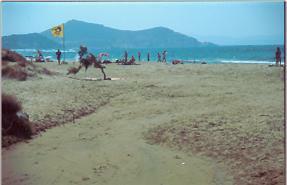 This marvellous sandy beach, facing Naxos Camping, is known as Agios Georgios (Saint George). This beach is perfect for surfing. Agios Prokopios and Agia Anna are two other marvellous beaches which are about 1 Km away from the Naxos Camping site. The Public bus to those beaches passes right outside the campsite. 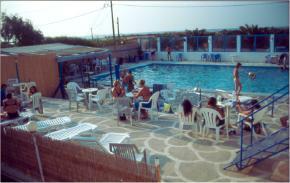 Naxos Camping is the closest to Town and offers everything you need for your holidays!